With support from the AMS and university administration, a group of students is seeking to raise the annual fee students pay to support refugees studying at UBC from $2.61 to $5.22 per year. World University Service of Canada (WUSC) currently facilitates the arrival of four refugee students to campus each year. The university and AMS cover tuition, book fees and some housing and living expenses. If the fee increase passes, the number of WUSC students at UBC will double to eight per year and support services for the students would be increased, according to AMS VP University Affairs Jenna Omassi. To raise the fee, the WUSC club on campus plans to circulate a petition to place a referendum question in the spring AMS elections ballot, said club President Kuol Deng Biong. 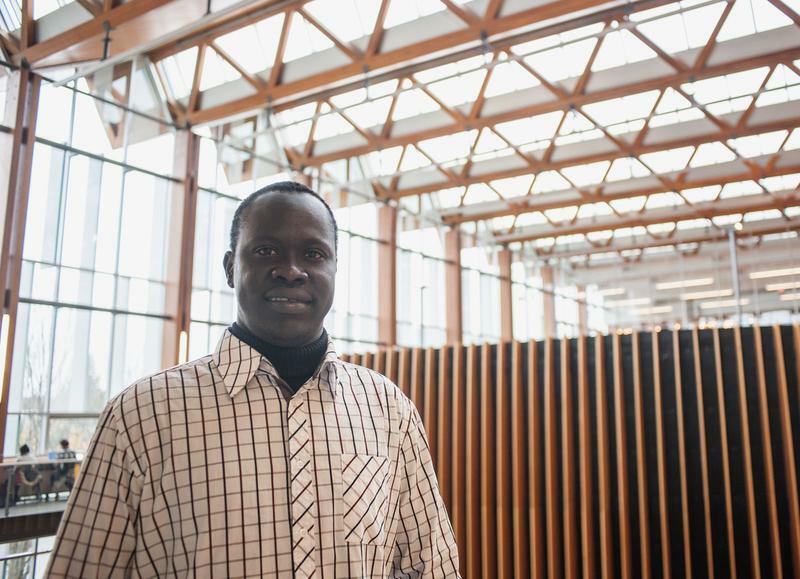 Biong arrived at UBC in 2011, 12 years after he and his family were forced to flee southern Sudan. Biong was educated in Kakuma — a refugee camp in northeast Kenya — and managed to earn a prized WUSC scholarship, which places dozens of students at universities across Canada each year. The impetus for increasing the WUSC program on campus came from the current refugee crisis stemming from strife in Syria, other parts of the Middle East and Africa. Omassi said the AMS began talks with the university in September to examine ways in which UBC could help aid the refugee situation unfolding in the Mediterranean. “There’s this crisis happening … and it’s a public crisis, which means students and people might be more willing to act on it,” Omassi explained. She said that while the AMS would not be putting the referendum question about raising the student fee on the election ballot themselves, they would support the WUSC club in gathering the 1,000 signatures necessary to qualify the question. The student levy to support WUSC refugees was first implemented in 1985 at a 50¢ fee. It was raised to $1 in 1996 and to $2.50 in 2008. Janet Teasdale, director of student development and services for UBC, said the university’s current contribution to WUSC scholars is around $185,000 a year. If the student fee increases, UBC would also roughly double their contribution to the WUSC program. She said that the expansion of the refugee program would not be limited to Syrian students and that it was just one aspect of what will eventually be a broader response by UBC to the refugee crisis. “We want to respond to the crisis this year, but we want to respond broadly and deeply and there are many displaced people who need additional places to study,” Teasdale said. Biong said that while he would like to see the number of refugee students at UBC increase beyond eight per year, four additional students would make a serious difference in many lives.